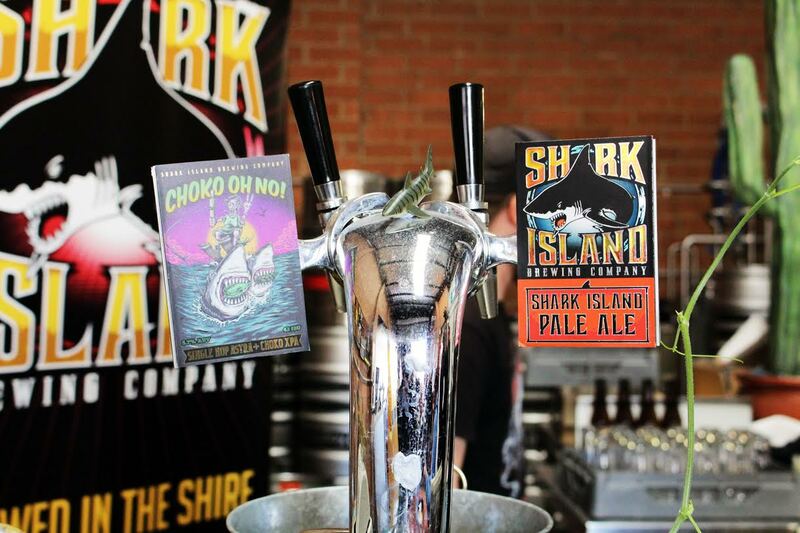 It’s been a tough journey for Sutherland Shire based brewery Shark Island. Major setbacks early almost crushed the brewery dream for mates Dion ‘Driza’ Dickinson and James Peebles, yet they’ve somehow managed to soldier on. Thanks to plenty of patience and perseverance, Shark Island has managed to stay afloat until their first birthday – and things are only looking up from here. The idea of opening a brewery lingered in Driza’s mind throughout the twenty years he spent in liquor retail. As craft breweries began to pop up in the CBD and Inner West early in the 2010’s, he and James decided to take action, planning to open a brewery in their hometown. Unfortunately, the construction process didn’t go quite as planned. The brewery’s start-up funds, totalling thousands of dollars, were lost as part of an equipment supply scam as reported on by The Crafty Pint. Although fundraising efforts offered some assistance, the business required a whole new strategy. Moved by the story, neighbouring Blackrock Brasserie in Sylvania offered to share their brewery equipment in Kirrawee, licenced under the name Blackhorse Brewhouse. 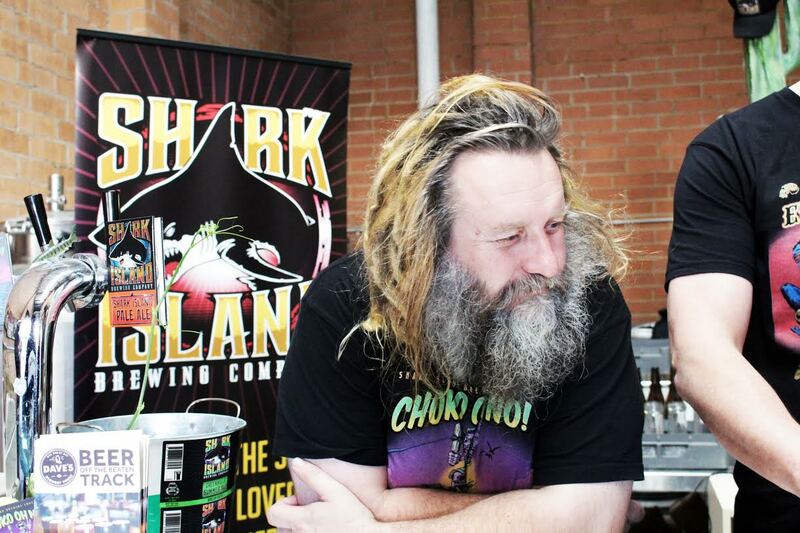 By converting part of this warehouse space into a cellar door, Shark Island would sell their beers, both on draught and in bottle, eventually earning enough back to purchase their own equipment. It was here that the Shark Island core range began to emerge. Their very first brew, El Mono Bolas Kolsch, is an approachable, easy drinking Czech style that remains a best-seller to this day. Joining it were Shark Island Pale Ale, Greenhills Summer Ale and Sandshoes Golden Ale, all named after various landmarks of Cronulla beach. “We’ve recovered well,” says Driza of the problems he’s experienced in the past months. “Financially we’re a bit behind where we wanted to be, but in terms of building the brand and building the destination, we’re extremely happy. The rest will come.” This strong brand image is backed by a crowd of locals who flock to the cellar door each weekend to support the brewery. 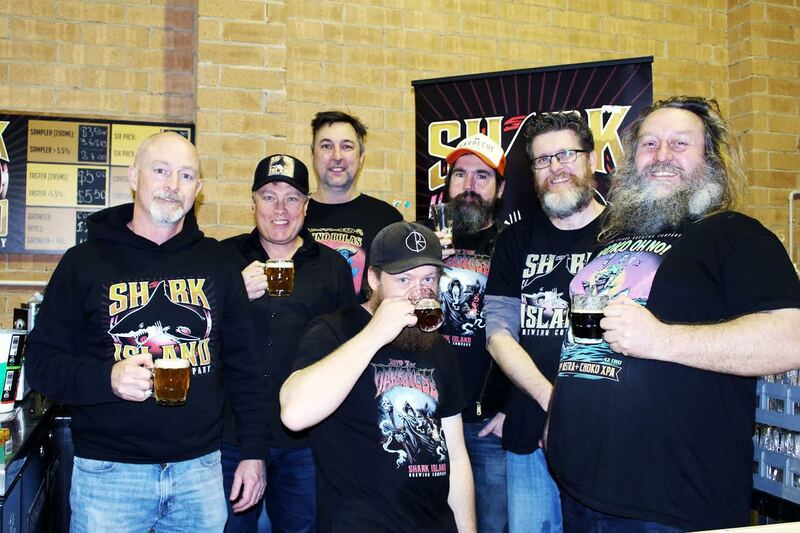 Celebrating their first birthday in style, Shark Island gifted themselves some new brewing equipment with their well-earned funds. Although their focus will largely remain within the Sutherland Shire, Shark Island are also tapping in to the Inner West market. They’ve secured a permanent position at the Botany View Hotel, as well as appearing at the Union Hotel, Uncle Hops and The Royal Albert Hotel. However, for an unforgettable experience, we recommend joining the camaraderie at the cellar door in Kirrawee. There’s the opportunity to meet the brewers, taste the beers how they’re meant to taste and enjoy them in the environment they’re meant to be enjoyed. Shark Island’s cellar door is located at Unit 8, 29-33 Waratah St, Kirawee, open Wednesday through Saturday. 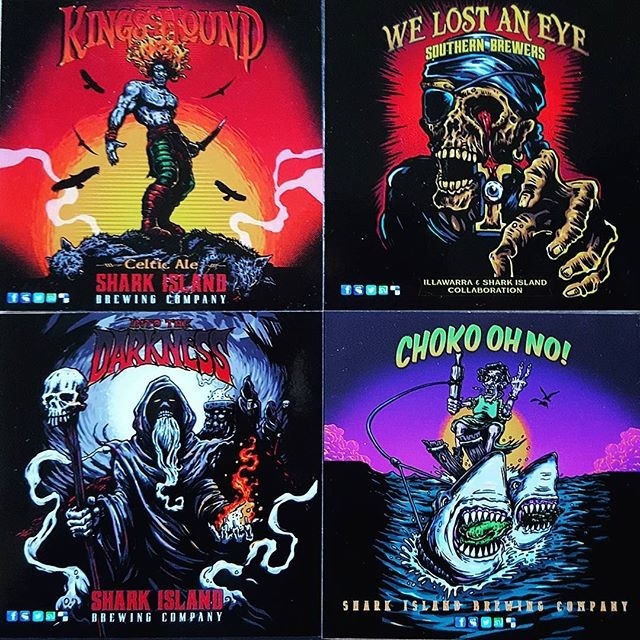 Check the Shark Island Facebook page for opening hours and special events.